Victoria – Two licensees’ forest development plans for logging north of Smithers were incomplete, the public review process was flawed, and government administration and approval of the plans was inadequate, the Forest Practices Board said in a report released today. The report concludes the investigation of a series of complaints from the An Dsap Wilp Society, a group of first Nations people who hunt, fish and trap on forest land in the Sustut and Bear Lake areas in north-central B.C. Society members believed their interests were harmed by the forest practices of Takla Track and Timber Ltd. and Rustad Bros. Co. Ltd., who have logging operations 200 kilometres north of Smithers. According to the report, the board found three out of seven issues raised by the society to be unsubstantiated. These included assertions that Takla caused damage to streamside habitat and contravened a stopwork order, and that ministry staff failed to adequately inspect Takla’s operations and to enforce a remediation order. The remaining concerns were valid. The board found deficiencies in the forest development plans that both licensees put out for public review. According to the report, the plans lacked adequate information about stream and wetland classification and about mountain pine beetle management, a serious forest health concern in the area. Information was also missing on forest cover, topography, water, fish, wildlife and biodiversity; and there was insufficient justification for cutblocks as large as 555 hectares where the code prescribes a standard maximum of 60 hectares. Although the board recognized that the licensees consulted individually with 11 local forest users, the report notes this one-on-one process missed the larger public. About 70,000 people live in nearby communities. The board found that the Ministry of Forests district manager also failed to comply with the code when he approved Takla’s 1996 forest development plan. Takla’s plan did not describe current beetle infestation levels, assess potential risks or propose a beetle management strategy, even though the ministry had advised the company to do so. Under the code, the district manager can only approve a plan if he is satisfied that the plan will adequately manage and conserve forest resources. The report cites Takla for failing to comply with the Forest Road Regulation. The company’s road construction and maintenance practices were inadequate to deal with the area’s unusually fine-textured soils and resulted in erosion and sediment transport into the Sustut, a highly productive salmon river. Only after the Department of Fisheries and Oceans and the Ministry of Forests issued several orders did Takla repair the problems. The board recognized that Takla put a major effort into correcting the problems and did more work than the government orders required. The report also identifies a deficiency in the Forest Practices Code. The board concludes that the code does not deal effectively with environmental risks of damage from forest practices on very fine soils that occur on gentle slopes. Surface erosion assessments, which would have identified the erosion hazard and reduced the sedimentation problems in Takla’s operations, are only required in community watersheds. The board recommends that Takla and Rustad produce well-organized forest development plans that meet the full content requirements of the code; and develop proactive and efficient strategies for managing beetles and dealing with extraordinary soil conditions, before developing new areas for logging. The board also recommends that the district manager make sure forest development plans meet code content requirements before they are approved. Finally, the board recommends that the Ministry of Forests implement measures to deal with a wider range of soil conditions outside of community watersheds. Auditing government enforcement of the code. Auditing forest practices of government and licence holders on public lands. Undertaking special investigations of code-related forestry issues. Participating in administrative reviews and appeals. Providing reports on board activities, findings and recommendations. 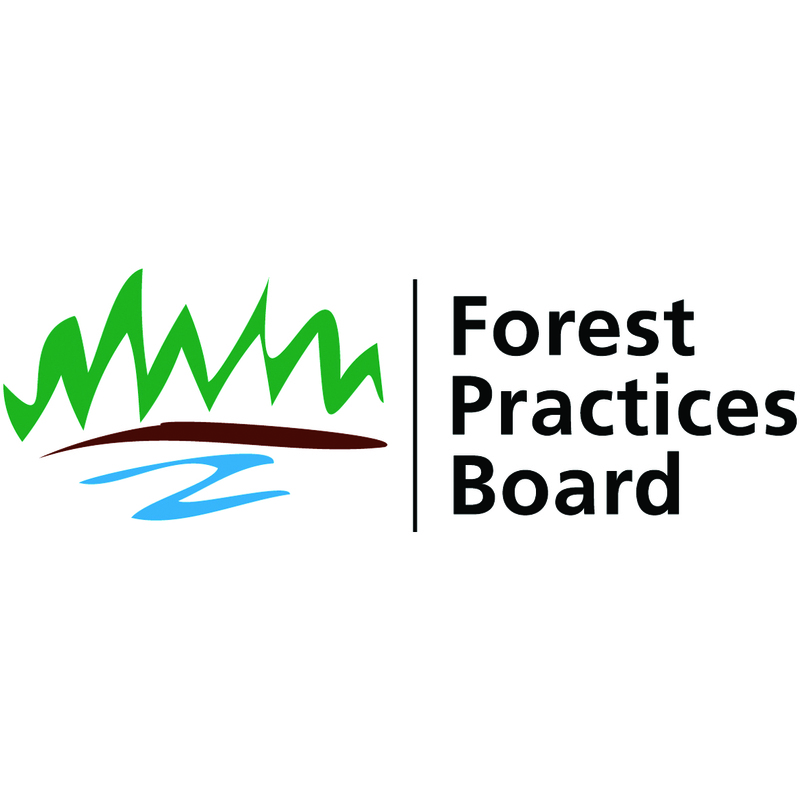 The Forest Practices Board may be the only forestry watchdog in the world with an arms-length relationship to government and a mandate to monitor both it and industry.